LORETTO, Pa. — An 11-game winning streak typically does not lead to questions of future successes. 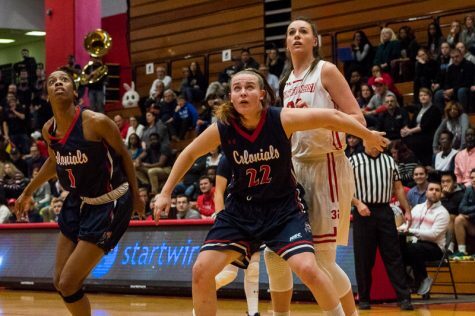 But the end of Robert Morris women’s basketball’s (14-9, 11-1 NEC) 11-game run to start the conference season has set up a Monday night showdown which could cost the Colonials their road to a third-straight NEC regular season title. The Colonials fell by a score of 61-55 Saturday afternoon against the likes of Mount St. Mary’s (11-12, 5-7 NEC). 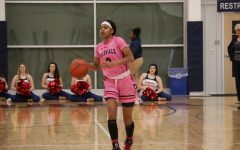 A surprise loss from a RMU team that had begun to garner local attention as the team to beat in the Northeast conference. Going into the weekend, Robert Morris had outscored their conference opponents by more than 18 points per game while allowing just above 50 points per game. It appeared that the road to the NEC tournament would have to go through Robert Morris. But lurking in the background, was the 2018 NEC tournament champions Saint Francis (12-12, 9-3 NEC), a team with a bumpier road to start. 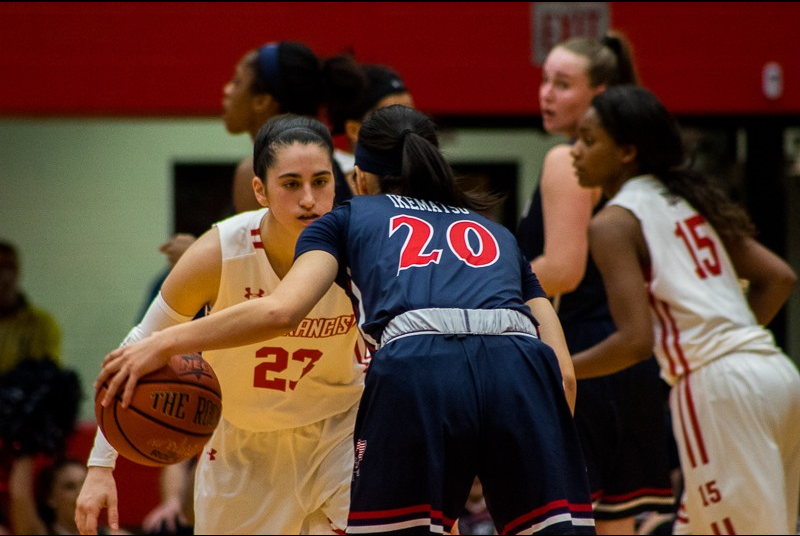 But with the Red Flash finally gaining traction alongside their superstar Jessica Kovatch, the time has come for SFU to make their move for the NEC crown. After a 3-3 start to the conference season for the Red Flash, Kovatch and company have put together a six-game winning streak building up to Monday night’s game against the Colonials. The Red Flash are a team defined by their relentless offense, scoring 85.5 points per game during their six-game streak including a 107 point performance against the Wagner Seahawks (9-14, 7-5 NEC). The conference’s best offense will do battle with the NEC’s most dominant defense with the potential to be the determining factor in who will host the NEC title game. It is a battle of true polar opposites. A team in Robert Morris, built on defense with no true superstar player and a proven coach in conference play. Compared to a Saint Francis squad who runs an explosive offense behind their nationally recognized superstar in Jessica Kovatch, the greatest scorer in NEC history alongside a head coach in Susan Robinson-Fruchtl, the Athletic Director at Saint Francis who takes over for Joe Haigh who is currently taking a leave of absence from the team. Whoever wins, their story line will be the one to remember. But it is the two very different journeys of these teams that is the most intriguing story of the 2018-2019 Northeast Conference. Last season, Saint Francis held the tiebreaker as the two teams shared the regular season title. But ultimately that led to the Red Flash hosting the NEC title game in their 66-56 victory over Robert Morris. In all of the team’s match ups last season, it was the home team that came out with the win, and if that is the case once again, regular season battles such as this one, could define who will represent the Northeast Conference in the NCAA tournament in March. A win for the Red Flash tonight puts them just one game behind the Colonials for the conference lead along with a chance to hold the tiebreaker if Saint Francis can beat the Colonials a second time in each team’s regular season finale. A win for the Colonials, and Robert Morris pushes a three-game lead over the Red Flash with just five games remaining. Giving RMU the much-needed space ahead of SFU to earn sole possession of the regular season title. As the season winds down and the postseason draws nearer, this is the game that everyone needs to keep an eye on.